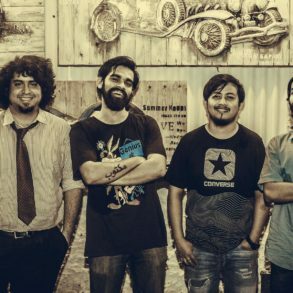 Riding the recent wave of classical music and rock fusion acts, Paradigm Shift is back with the latest addition to its discography, Sammukh. 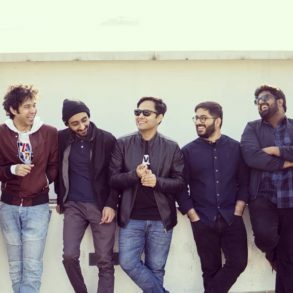 The Mumbai based prog rockers go all out with the classical influenced aesthetic, with passionate performances throughout while tackling subjects that are not a part of our everyday discourse. The album kicks off with ‘Vimukh’, a track riddled with emotional strings that touch a deep and visceral part of your soul. It features sudden knee-jerk transitions from a soothing melody into a wall of heavy metal riffs and percussion with the same soulful violin on top, ending with an evocative guitar solo. This is, in fact, an idea that is reused in virtually all songs, which is one of the main causes of the album’s loss of vitality in the second half. The track touches on themes of disaffection and alienation. ‘Bekhabar’ stands out due to its unique time signature, giving it a psychedelic vibe despite it leaning over to heavy metal riffs. Again, we have a powerful violin performance midway to accentuate the despair an hopeless themes of the track. ‘Wajah’ shakes things starting with a touching piano ballad, which then segues into momentary heavy metal riff topped with beautiful violins. This pattern is followed throughout to pretty good effect. The lyrics, mostly about existentialism and looking for the meaning in life, are extremely poignant. ‘Khoye The hum’ is lyrically introspective and sonically intimate and begins with another sweet piano intro. Like every other track in the album, it features classical violin pieces layered on top of metal, which blends pretty well due to the immaculate production. The percussion actually follows the violin which adds to the intensity and its banger factor. 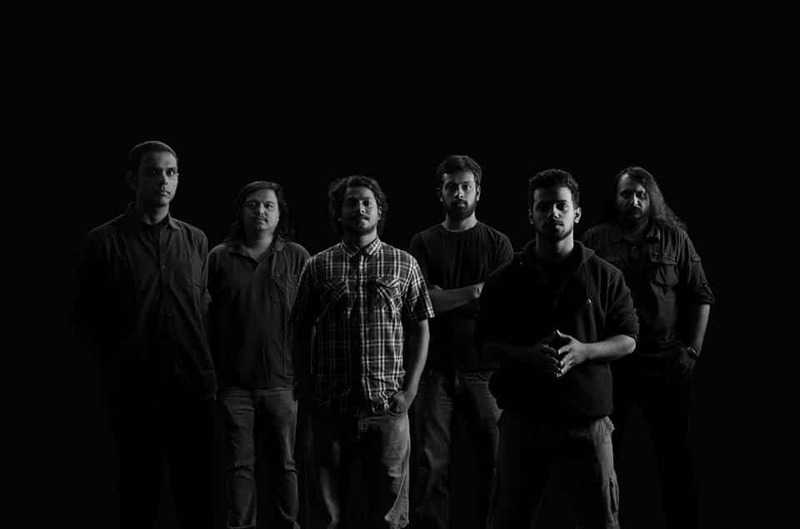 ‘Banjaara’ spares no expense by going in straight with intense riffs. However, this is the point in the album where its decline begins. The track is in no way bad or lacklustre but in the context of the rest of the album, it doesn’t offer any new ideas to keep the listener engaged. The track is marked by a soothing yet sad set of strings over a perpetually intensifying set of instrumentals with a decidedly unique arrangement. We now enter into the relatively low key part of the album with ‘Kyun?’. Its start is minimalistic but then erupts into a wall of heavy metal riffs, which is on par with the intensity of the tracks of the rest of the album. The track questions the nature of life, love and loyalty. ‘Azaadi’ is a short, generic hard rock song and is the weakest link in the album, with lyrics about how independence has lost its meaning. ‘Baatein’ is a relatively charming and intense song that you could actually dance to featuring low key, yet intense guitar chops. It talks about misinformation and people not paying attention. ‘Saaransh’ is another generic dystopian metal song. However, towards the middle, almost all sound drowns out except eerie keys and lo-fi atmospheric classical violins which segues into a heavy metal finale. The closer, ‘Sammukh’ finds the album at its nihilistic peak as we find a hopeless and despondent narrator with instrumentals to complement this. The track features a loose collection of heavy metal ideas and is not very cohesive. The album ends with a glitzy piano fade out. All in all, this is a solid progressive rock album with a lot to say. There are recurring themes of alienation, depression and existentialism. The violins fused with hard rock and heavy metal are a great touch but get stale towards the end of the second half of the record. The album would have benefited more creative risks and far bolder experimentation than we are presented with. However, the innovative song structures, beautiful strings, poignant lyricism and an overall technically impressive presentation makes for an entertaining listen.